My husband’s grandmother is 84 and has diabetes. Although she is fiercely independent, she cannot look after herself properly and will have to go into a residential home. Can you let me know of any homes that cater especially for people with diabetes? Because diabetes is becoming increasingly common in the elderly, the staff in most residential homes are experienced in looking after people with diabetes. They will probably be happy to do urine tests, ensure that diet is satisfactory and see that she gets her tablets and, if necessary, insulin injections. My wife, who developed diabetes a few weeks ago, is about to return to work. I feel that she should wear some sort of identity disc or bracelet showing that she has diabetes but she is reluctant to wear anything too eyecatching. Have you any suggestions? It is very important that all people with diabetes, especially those on insulin, should wear some form of identification. Accidents do happen and it may be vital for any medical emergency team to know that your wife has diabetes. Medic-Alert provides stainless steel bracelets or necklets which are functional if not very beautiful. They can also be obtained in silver, gold plate, and 9-carat gold. Medic-Alert’s. SOS/Talisman produces a medallion which can be unscrewed to reveal identification and medical details. These can be bought in most jewellers and come in a wide range of styles and prices, including some in 9-carat gold. 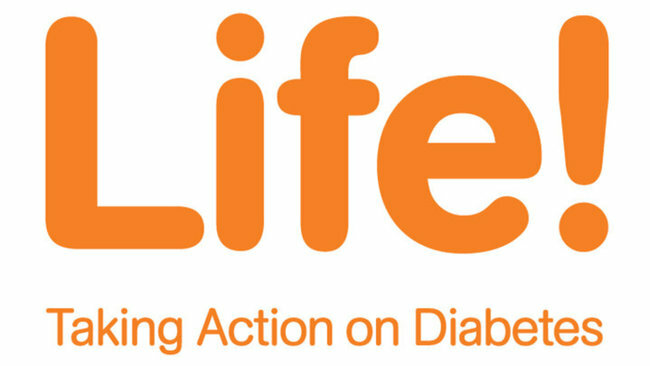 Other products are always coming on to the market, and Balance, the magazine produced by Diabetes UK, usually carries advertisements. I recently enquired about having electrolysis treatment for excess hair. I was told that, as I had diabetes, I would need a letter from my doctor stating that my diabetes did not encourage hair growth. Could I use wax hair removers instead? There is no objection to your having electrolysis. Diabetes does not cause excessive hair growth. It sounds as though the firm doing the electrolysis is being overcautious. People with diabetes can use the same methods of hair removal as those without diabetes – no special precautions are needed. Could you tell me what ointment to use for skin irritation? The most common cause of skin irritation in people with diabetes is itching around the genital region (pruritus vulvae). The most important treatment is to eliminate glucose from the urine by controlling diabetes. However, the itching can be relieved temporarily by cream containing a fungicide (e.g. nystatin). I have recently been given afoot spa and was surprised to see a caution on the side of the box that it is not suitable for people with diabetes. Is this true? If you have neuropathy (nerve damage), you should check with your diabetes team before using the spa. If you don’t have neuropathy, make sure that you check the temperature of the water carefully and don’t soak your feet for too long as this will make the skin soggy, easily damaged and prone to infection.